Carlos Tevez - Will He Stay, or Will He Go Now? 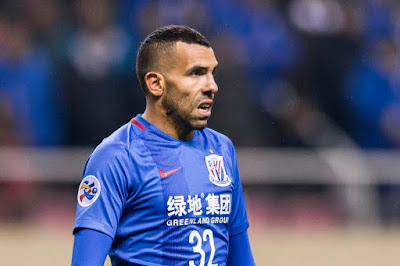 Carlos Tevez, one of the world’s best paid footballers has been ordered to return to Shanghai Shenhua on the 26th December to commence pre-season training. If he refuses to return he won’t be paid his massive £615,000 a week salary. Tevez, it’s been reported has been homesick while playing in China. He has been angling for a move back to South America, with Shenhua saying they’re not sure if Tevez will return. Tevez has only managed to score 4 league goals playing in the Chinese Super League (CSL) where he joined in January and still has a year left on his contract. He’s been largely ridiculed by CSL fans for missing half the games he’s been eligible to play in, with the fans giving him the nickname ‘Very Homesick Boy’. This name came about from him often flying back to Argentina when he can or during periods of personal distress. His form’s been so bad during his stay in the CSL that he was left out of the squad for the two legged Chinese Cup Final by coach Wu Jingui when Shenhua defeated Shanghai SIPG managed at the time by Villas-Boas. The decision on whether Tevez will continue his career in China is solely down to Tevez as the decision is his to make and his alone. Will he continue with Shenhua and earn his bloated salary? Or will his homesickness and inability to adapt to life in China make him give up the massive wedge for a return to his homeland? We will find out on 26th December what is more important to him, the money or to rid himself of his unhappiness by returning to Argentina. Not every player will be suited for a move to China despite becoming some of the richest professional players on the planet. Players like Tevez serve as a good example, during his time in England he didn’t manage to learn English as witnessed by his use of translators in post match interviews. Learning a language is not the sole reason for being unable to adapt or fit into a new way of life, a new society or a new culture, but with reports coming out in various news articles that Tevez is unhappy at the lack of socialisation with his team mates – then language will be a key component of adapting in this situation. Unlike when he played in Europe, where he could easily find other native Spanish speakers to spend his down time with socialising together. 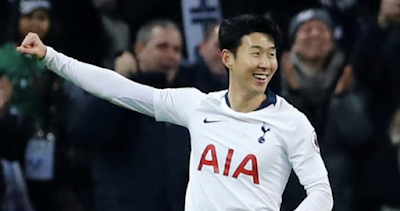 This is unlikely to be the case in China, even in Shanghai where the chances would be higher but still considerably lower than every other country he has played in outside of Argentina. Pressure is being put on Shenhua by Boca Juniors to release Tevez from his contract which would enable him to re-sign for the Argentine club. Zero benefit is on offer to Shenhua for going down this route and releasing him from his contract a year early. Boca are unacceptably trying to force a club to effectively give away an expensive asset as they plead poverty as a club of hamstrung paupers. If Shenhua don’t agree to release Tevez from his contract then either Boca will need to pay his release clause of £4 million or Tevez will have to buy out his contract, and considering it is one of the best in the world it would prove to be a very costly move and possibly negate any major financial benefit he gained from moving there in the first place. This should be a cautionary lesson for any future players thinking of moving to China for the benefit of financial gain only. Make sure you’re able to adapt to a vastly different environment and culture from your own, some players have no issues others like Tevez will hate it. Regardless of the vast riches of RMB (Chinese money) on offer, your life can still be utter misery if you fail to adapt culturally or fit in with your surroundings; Carlos Tevez being a prime case in point.